Professor Israel Roll died on June 20, 2010 after a courageous two-year struggle with illness. He was one of the prominent classical periods archaeologists in Israel and a highly esteemed member of Tel Aviv University’s Faculty of Humanities. He taught in both the Department of Classics and the Department of Archaeology and Ancient Near Eastern Cultures. Israel Roll was born in 1937 in Constanţa on the Romanian Black Sea coast. He immigrated to Israel in 1951, where his ﬁrst few years were spent on Kibbutz Gvat. After a stint with the Israel Air Force technical staff, he studied at The Hebrew University of Jerusalem (1960–1964) under the tutelage of the late Professor Michael Avi-Yonah, acquiring a BA in Archaeology and Jewish History. In 1964 he obtained a scholarship to study Classical Archaeology towards a Diplôme d’Études Scientiﬁques (DES) at the University of Paris (Sorbonne, 1964–1965). He received an additional grant from the Sorbonne to study for a Doctorate (III Cycle) in Classical Archaeology, which he completed in 1970 under the supervision of the late Professor Gilbert Picard. His dissertation (Recherches sur l’iconographie mithriaque dans l’Orient romain) was partially published in a frequently-cited paper on the mysteries of Mithras in the Roman Orient. Although involved in writing his dissertation, Roll, who loved ﬁeld work, often visited Israel during this period in order to join the late Dr. Jacob Kaplan in many of his excavations in Tel Aviv and its vicinity, such as Jaffa and Yavneh-Yam. 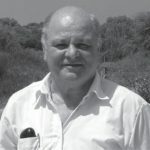 Upon his return to Israel in 1970 he was appointed a Research Fellow in the Department of Classics, Tel Aviv University, assisting Professor Mordechai Gichon in his project of excavations at the En Boqeq oasis on the shores of the Dead Sea and teaching courses in Classical Archaeology, after which he became a senior member of the department. In this context he became active in thematic surveying of Roman roads and milestones in Israel. In the years that followed he remained active in this ﬁeld, becoming synonymous with these themes in the national and international arena. Roll surveyed and excavated road stations and particularly sections of paved Roman roads in order to deﬁne Roman building techniques as well as chronology across the system of Imperial Palestinian highways; he contributed immensely to the reading of inscribed milestones and the evaluation of the relevant written sources, all aiming at the reconstruction of the Roman communication system in Roman and Byzantine Palestine. Roll’s studies of Roman roads and milestones culminated in numerous articles and monographs, such as Roman Roads in Judaea I: The Legio-Scythopolis Road, Oxford 1982 (with B. Isaac); Roman Roads in Judaea II: The Jaffa-Jerusalem Roads, Oxford 1996 (with M. Fischer and B. Isaac); and the Roman roads on the maps of the Tabula Imperii Romani, Jerusalem 1994. 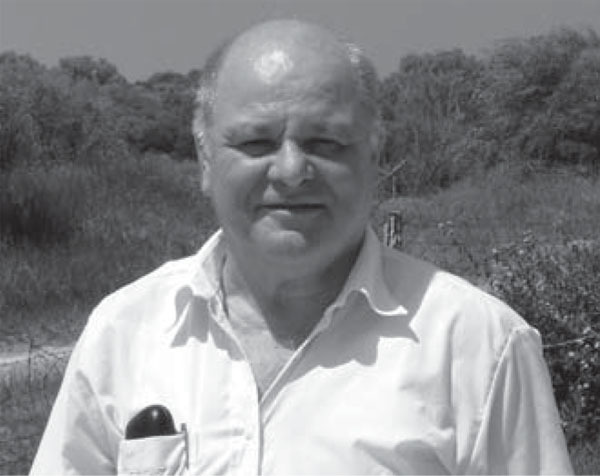 Roll was involved in many excavations, such as Mezad Tamar (1973–1975), Tel Yaoz (1981), the Roman temple at Tel Kedesh (1981–1983, together with M. Fischer and A. Ovadiah) and especially at Apollonia-Arsuf (1977–1984, together with E. Ayalon; and later on his own, 1990–2006). Excavations in the latter resulted in three monographs: Apollonia and Southern Sharon: Model of a Coastal City and Its Hinterland, Tel Aviv 1989 (with E. Ayalon; in Hebrew); Apollonia-Arsuf: Final Report of the Excavations. Volume I: The Persian and Hellenistic Periods, Tel Aviv 1999 (with O. Tal); and The Encounter of Crusaders and Muslims in Palestine, Tel Aviv 2007 (edited with O. Tal and M. Winter; in Hebrew). In addition to systematic, well-documented and highly skilled excavations, he contributed to a change in the site status from a neglected to a well-protected and frequently-visited national park (2001). In 2004 the site was formally recognized as one of the 100 most endangered world monuments by the World Monuments Fund and in 2006 it was included on the UNESCO tentative list of world heritage Crusader castles. While Roll’s early interest in ancient religions and cults and their artistic representations found expression in his academic career and the publications of the results of his excavations at Tel Kedesh, his later interest in the Crusader period in Palestine was the result of his excavations at Apollonia-Arsuf and especially in its fortiﬁed castle (1998–2000). He dedicated a great deal of his time to a thorough study of Crusader history and sources relevant to the Holy Land in general and to Apollonia-Arsuf (then Arsur) in particular. On a more personal note, we had the privilege over the years to be Israel Roll’s colleagues and friends. He was a warm family man—husband to Yael and father to Ranit and Noa—who knew how to create the perfect balance between family needs and demanding academic life. He loved books and ﬁlms and shared these passions with those close to him. He will be remembered among his friends and colleagues as a peacemaker who always faced life with a diplomatic approach that bridged animosity. We have lost a remarkable scholar, a true intellectual, a wonderful educator and above all a mensch. He will be sadly missed by all.